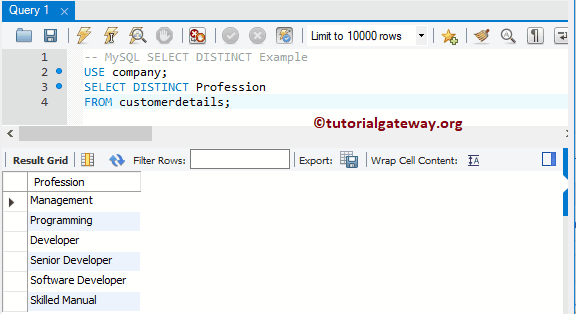 The MySQL Select Distinct Statement is used to retrieve unique rows (by removing the duplicate rows) from the specified Column in the SELECT Statement. 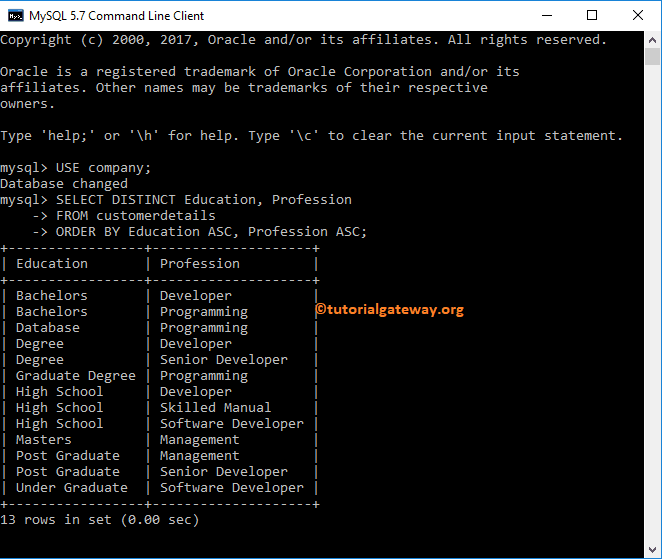 In this article we will show you, How to write MySQL Distinct statement using the Workbench, and Command Prompt. 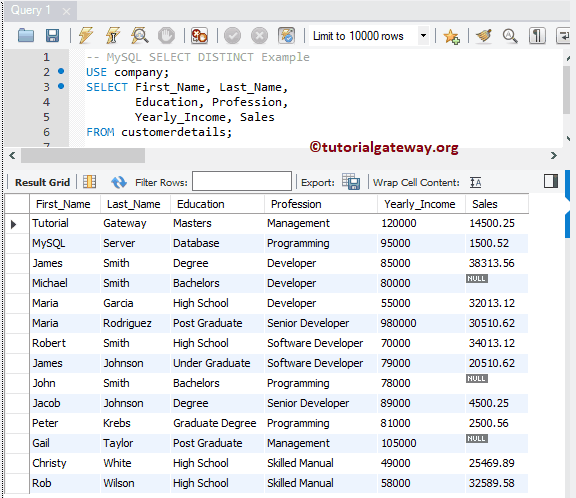 Columns: It allows us to choose the number of columns you want to use from the table. It may be One or more. Source: One or more tables present in the Database. 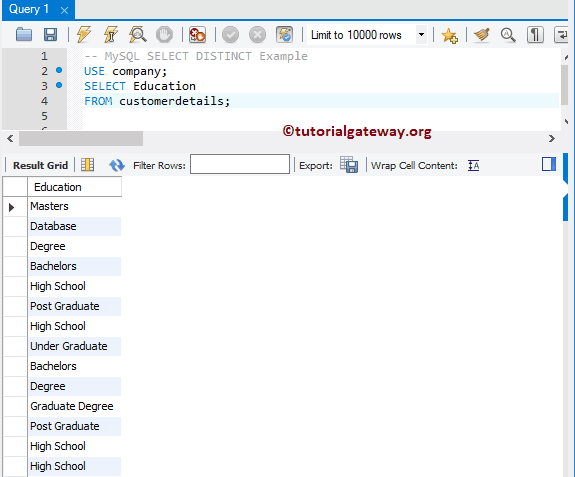 Use Joins to join multiple table. 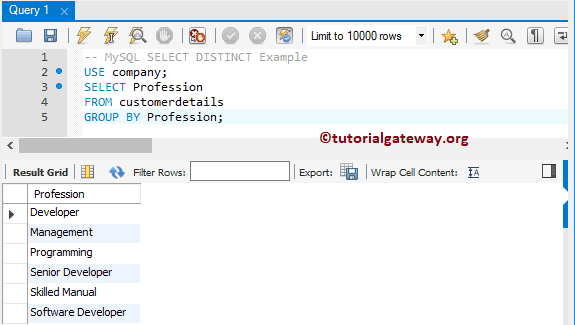 We are going to use the below shown data to explain the Select Distinct in MySQL with example. 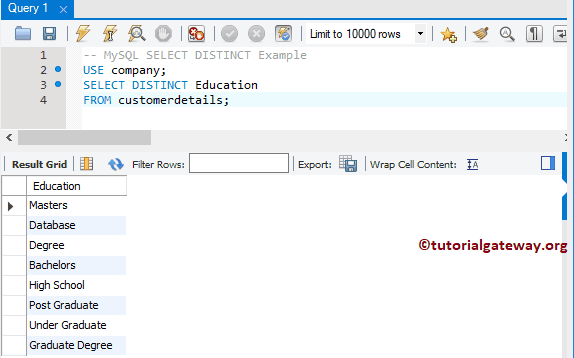 In this example, We are going to select the unique records from Education Column using MySQL Select Distinct. Before we get the unique records, let me select all the records from education column. 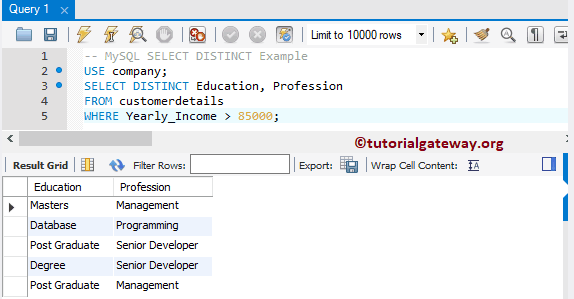 When we use MySQL Distinct on multiple columns then the SELECT Statement will write the unique combination of multiple columns instead of unique individual records. 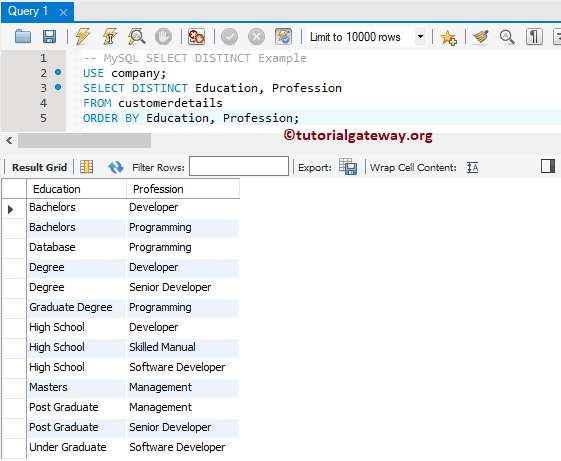 In this example, We are going to select the unique records present in the Education Column, and Profession Column. Bachelors and Programming is a unique Combination etc. Although there are 13 distinct records for the Education, professional Column combination. 10 records are not matching the condition in Where clause. That’s why below screenshot is showing 5 records. 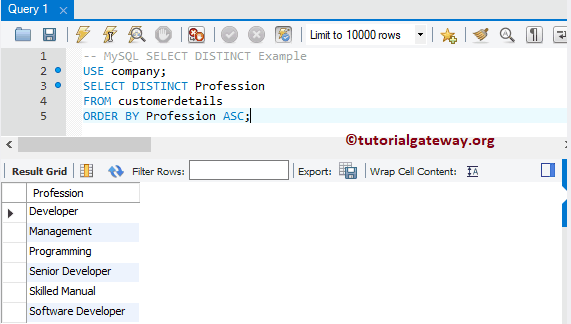 NOTE: The MySQL Distinct consider the NULL records as a valid unique record. So, Please use any Not Null function to remove NULLS. Group By will sort the Data first, and then perform grouping. Distinct keyword does not perform any sorting.